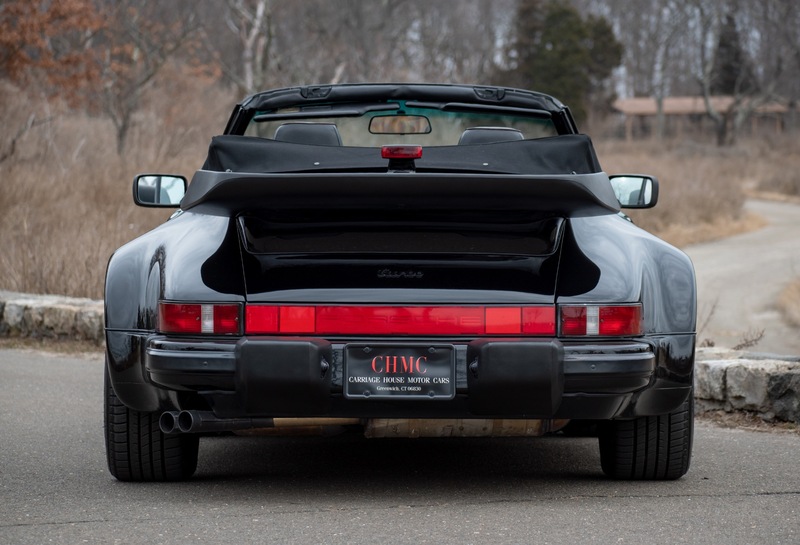 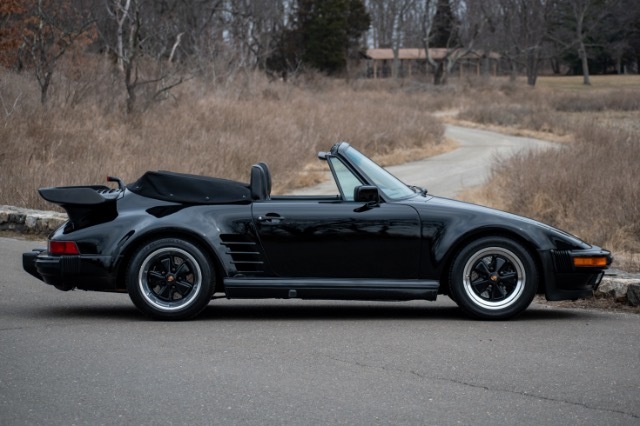 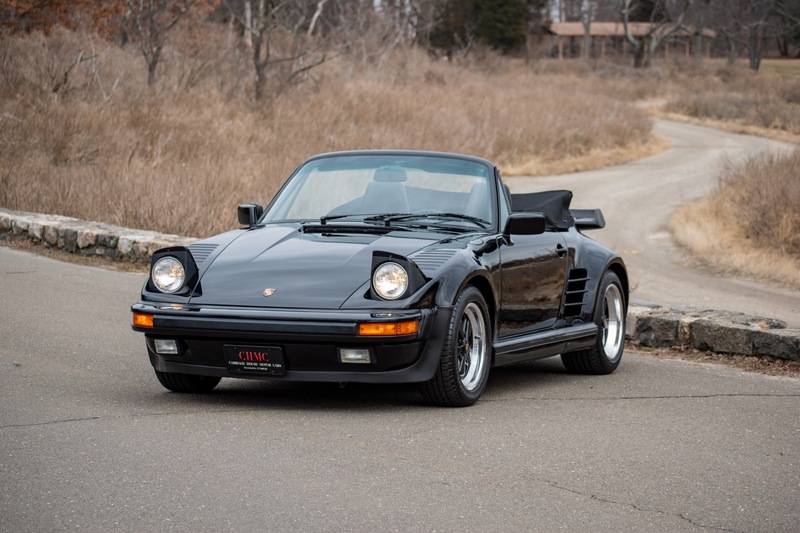 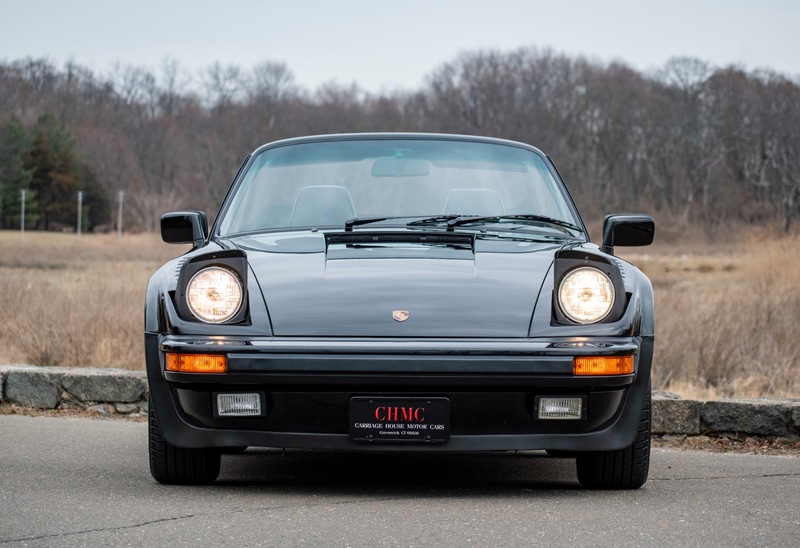 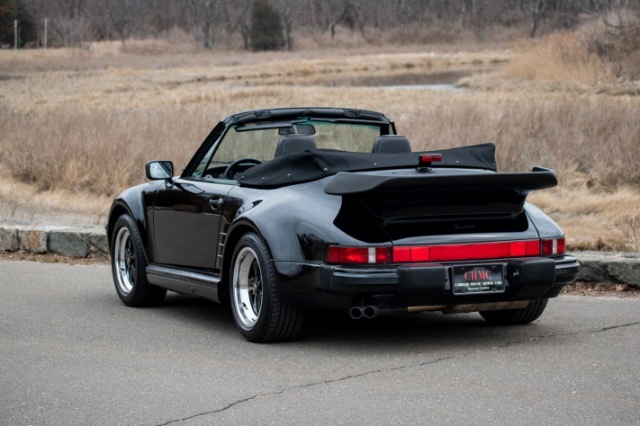 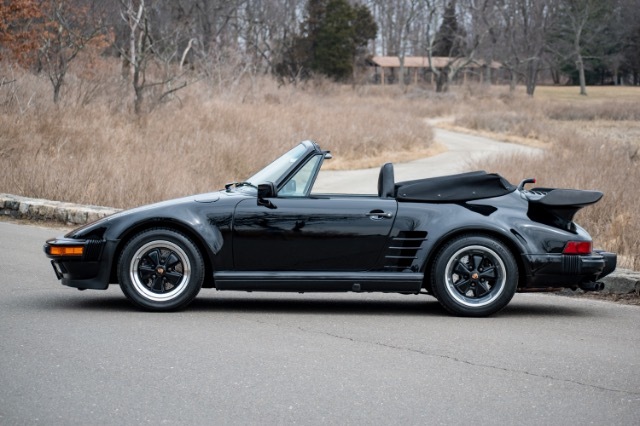 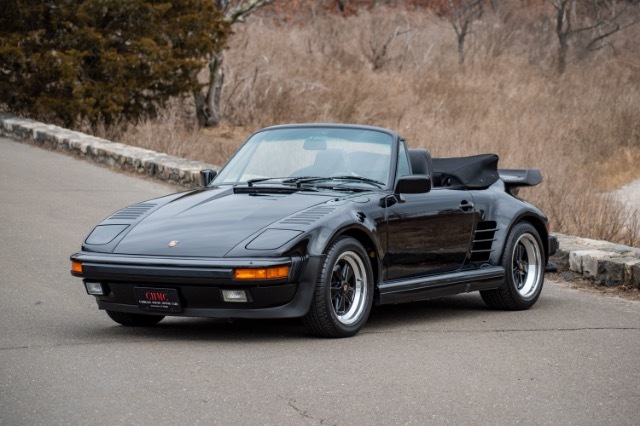 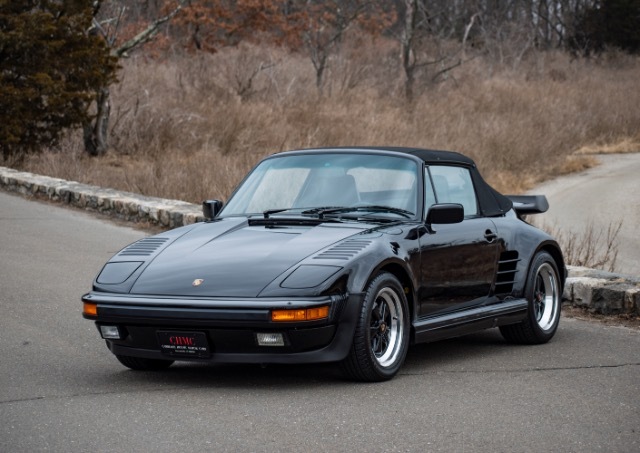 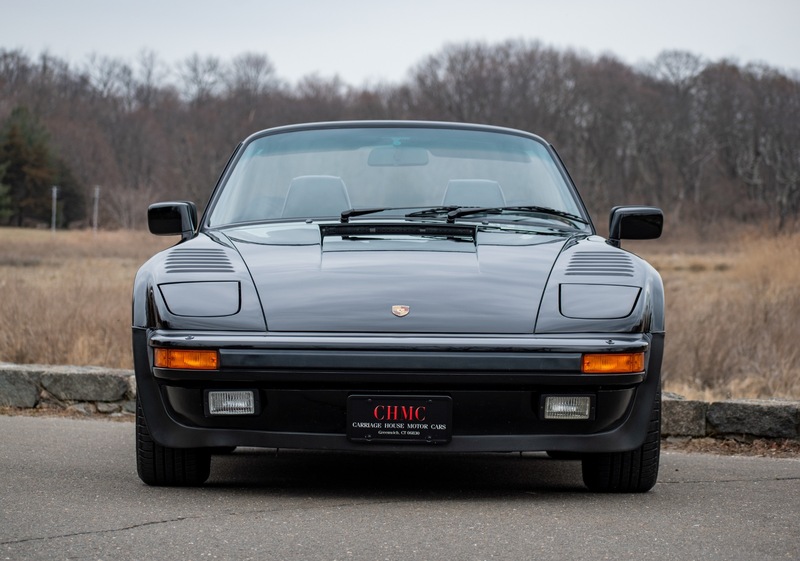 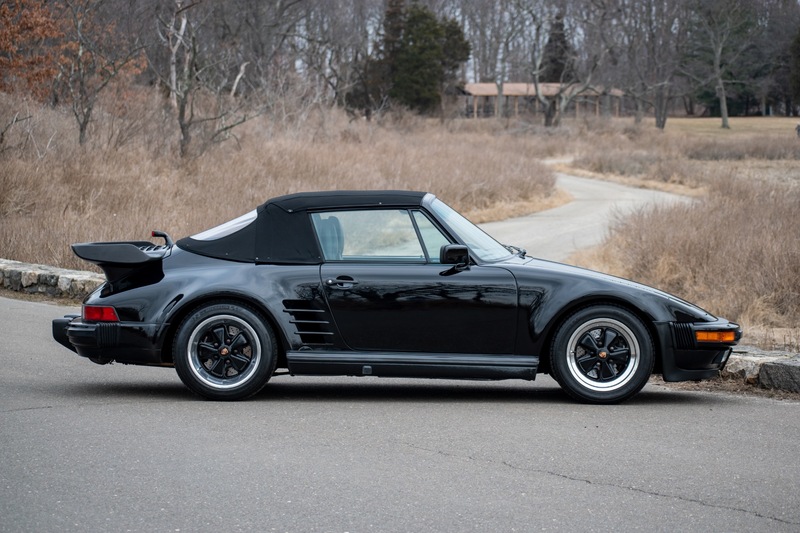 Now available at Carriage House Motor Cars is this stunning and extremely rare 1989 Porsche 930 Slantnose Turbo Cabriolet. 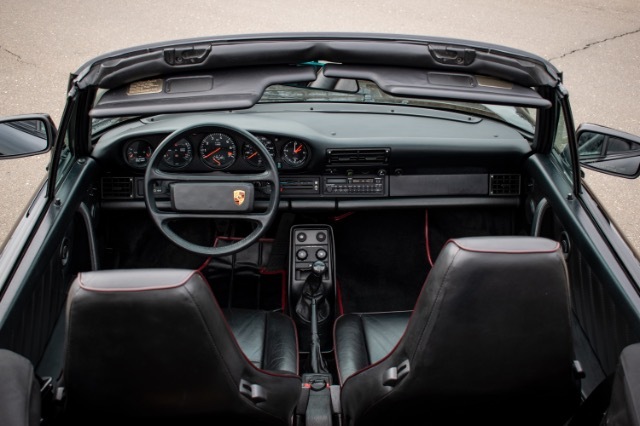 This is one of only 25 Turbo Cabriolets produced in 1989 with the rare and highly desirable 505 option, the Slantnose. The 505 option was nearly a $30,000 addition to the base price Turbo Cabriolet. 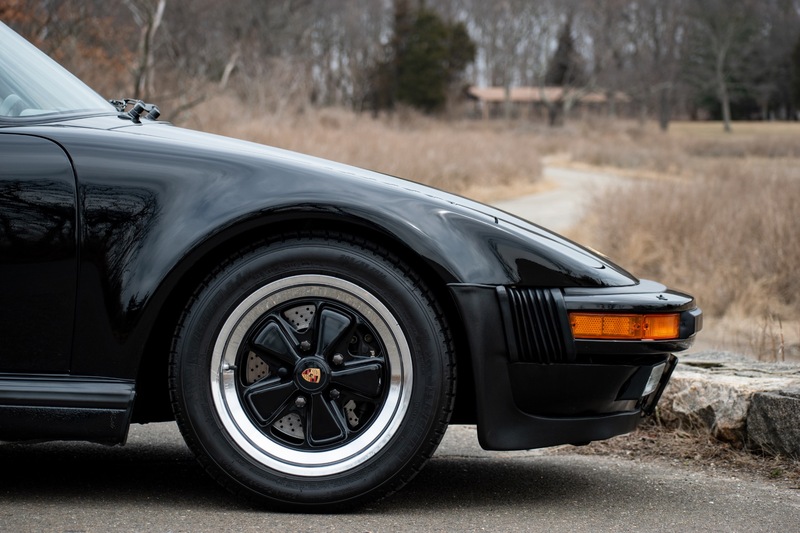 The Slantnose is a symbol of the 1979 Le Manns winning Porsche 935, one of the most recognizable vehicles in sports car history. This example is featured in rare triple black livery and has only traveled 23,636 miles. 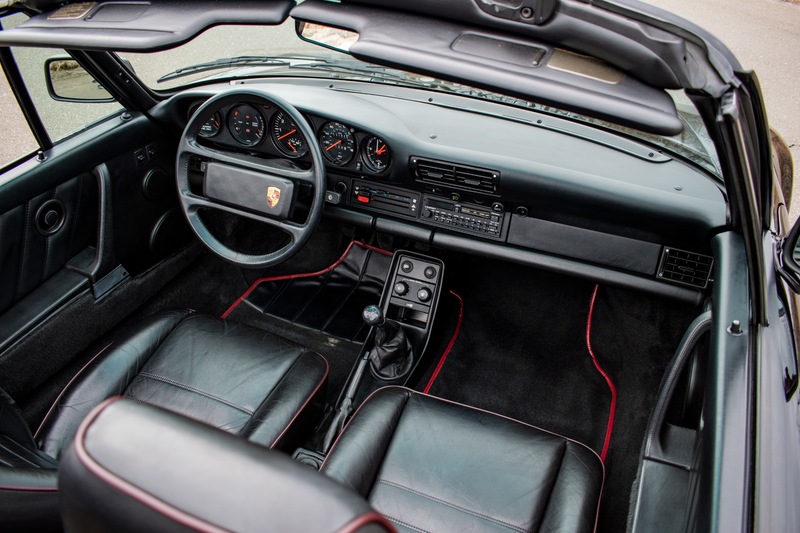 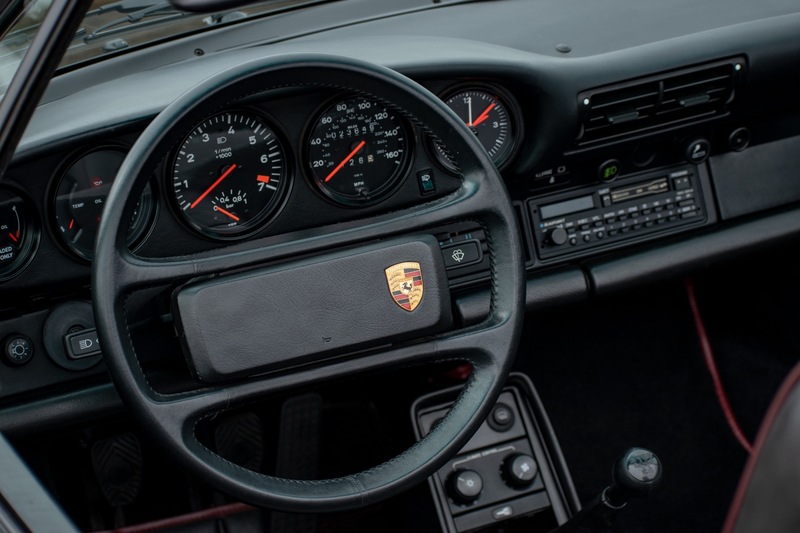 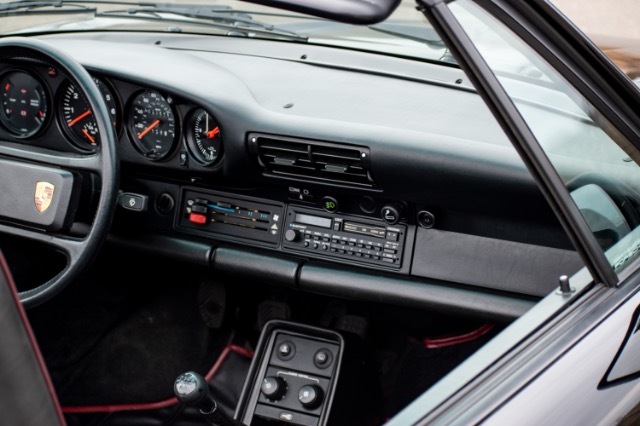 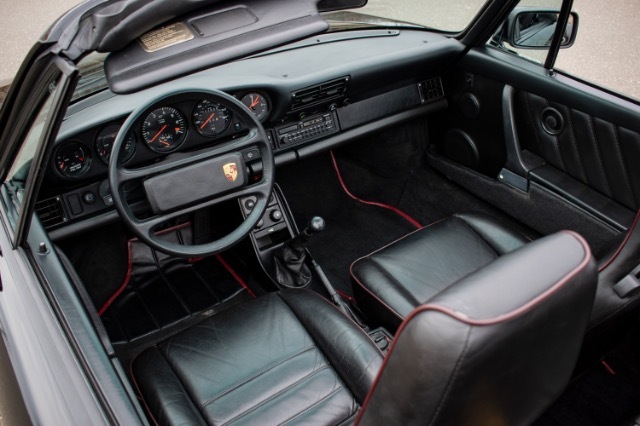 1989 is the only year the G-50 transmission was available in a Turbo making the 1989 Turbo the most sought after. 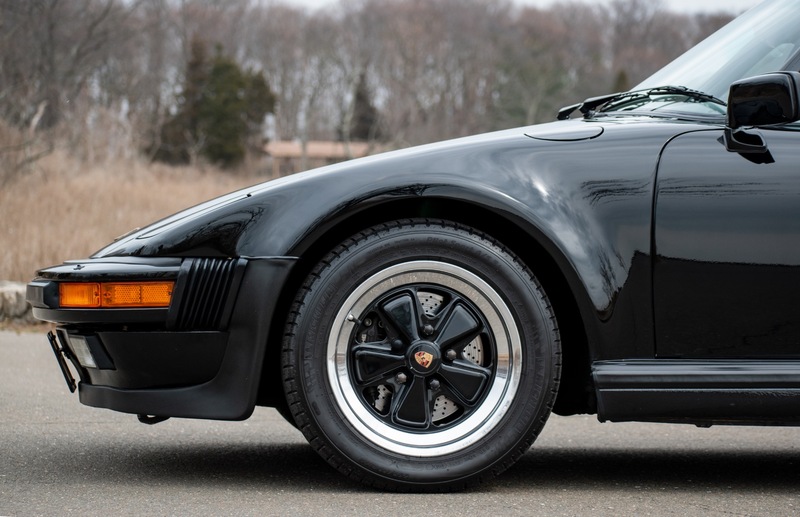 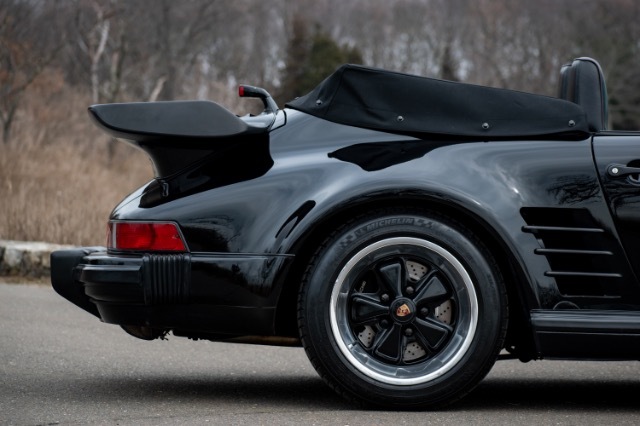 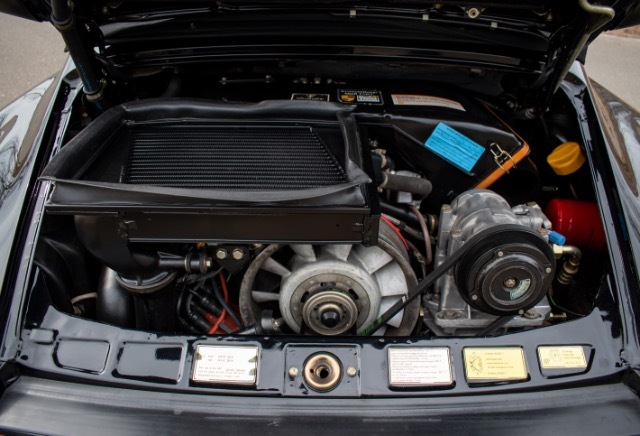 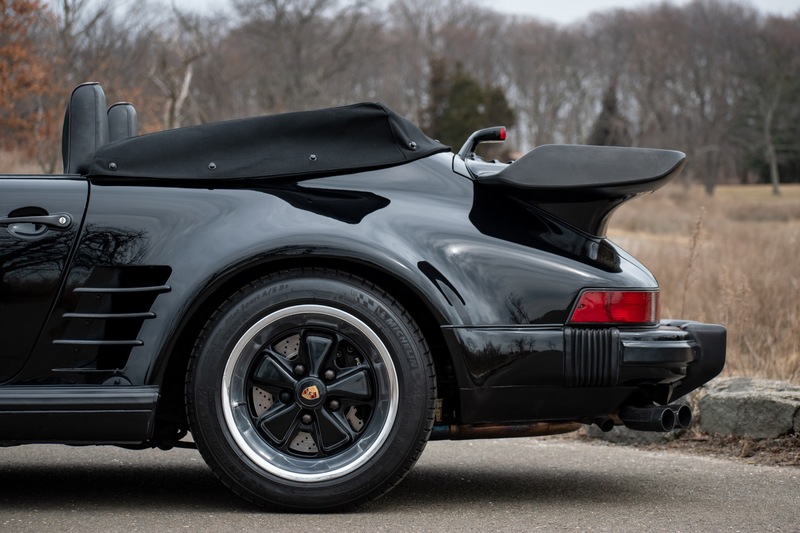 This is an amazing opportunity to own one of the rarest and highly sought after Porsche 930 Turbos.